With winter now in full force in the northeast, what’s a beeswax-shunning vegan to do? Most natural balms tout plenty of emollient, natural and organic ingredients, but nearly 99% of them contain beeswax. Thankfully, you have me to find the best bee-free balms, so kiss your cutie with bee-free style! Also, just a shopper-friendly note: while I was compiling this list, I noticed that nearly all the balms retailed for double the lowest price on amazon compared to going to the company’s direct website (which I have linked in each item listing). Most likely the retailers must raise their prices in order to offset the fees Amazon makes from selling their products. My MO is to discover new brands with the aid of Amazon’s searching power and then manually go to the company’s site to price compare/use their own promotions. Just a friendly shopping tip — save money AND support these small businesses! Hemp yourself to any balm you please (pun totally intended)! 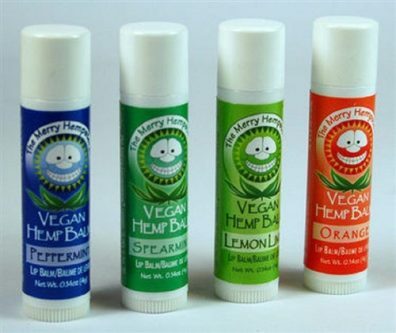 Who knew hemp seeds weren’t just tasty in your breakfast cereal, but also glides on “smooth as cake” in lip balm form? Reviewers on Amazon love this balm for its “soothing effect” and “wonderful tastes”. Oh, and by the way, don’t buy it on Amazon for a nearly double-the-price ripoff — the normal retail price on the direct retailer’s site is $2 less! 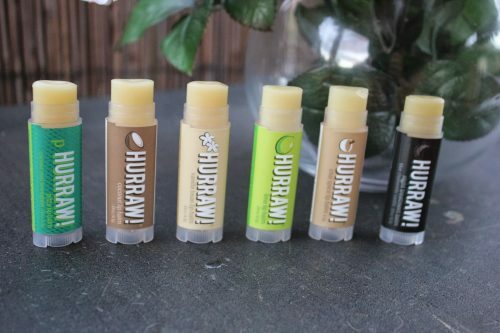 My new goal: try every Hurraw lip balm before I kick it. This is a company I discovered using Amazon, and I’m so happy I did! Like Merry Hempsters balms, Amazon charges twice as much, so I purchased mine (with free shipping to boot!) via the Hurraw site. Hurraw has several lines of balms, with the Essential line being the heavy-duty cousin of their Classic line of balms. All the flavors of the vegan rainbow! Who remembers Lip Smacker? If there was a vegan version of this childhood drugstore mainstay, it would be Crazy Rumor’s extensive line of fun flavors. Macadamia nut oil serves as the naturally moisturizing primary ingredient, followed by plenty of plant oils and butters you can pronounce. 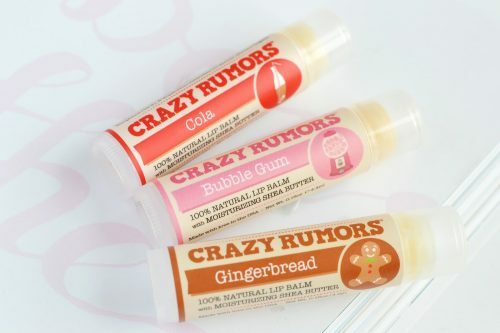 Crazy Rumors balm also features a tiny bit of stevia for a slightly sweet taste. Reviewers laud its “creamy and smooth” consistency and how it “will not fail with any flavor you try.” If that isn’t a solid recommendation, I don’t know what is! Lush makes it easy to love your lips on the go. 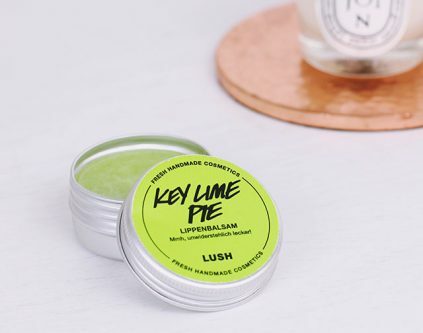 For those who need vegan lip care and need it NOW, Lush has plenty of locations where you can easily pick up a cruelty-free balm on the go. Key lime pie, rose lollipop and sugar plum fairy (tinted) are all solid vegan choices for glamazons-on-the-go. 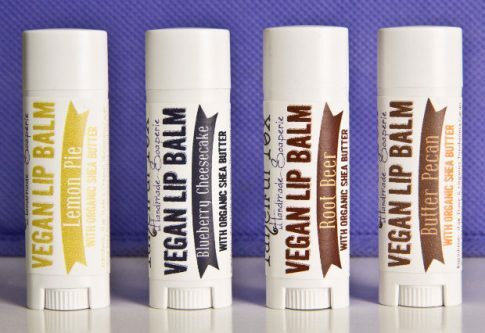 Check out their vegan lip scrubs, too! 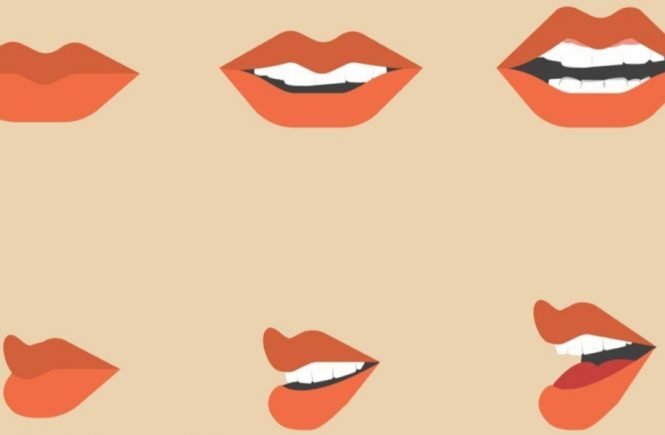 You’ll soon look like the fox you are with these lovely lip balms. 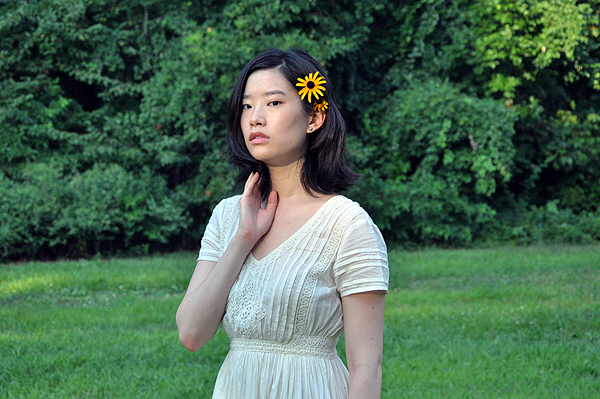 Based out of Brooklyn and made in micro-batches, Fanciful Fox’s mantra is to use only the “finest plant ingredients, and topped off with a whole lot of love.” Many happy customers rave about their balms on their Facebook page, with one eager customer promising that their products are ” to DIE for!” Strong words, strong lip balm! Which beeswax-free balm is your favorite? Sound off below!